A period style French farce with more than a nod to Molière, La Bête, played in rhyming couplets, alludes to both Molière’s own life and his comic masterpiece The Misanthrope. This modern classic is a brilliant tribute to Molière’s comic genius and builds upon Court’s unique commitment to the exploration of all that is Molière. In a comic whirlwind of high style, La Bête tells the story of Elomire, a 17th century French playwright, and his touring acting troupe who have come to lead the high life due to the patronage of the fickle Prince of Conti. Sparks fly when Valere, a swaggering braggert with delusions of artistic grandeur, becomes the Prince’s choice to join Elomire’s troupe. It is a battle of wits and witticisms as the two face off in this outrageous commentary on the nature of art and the artist in society. 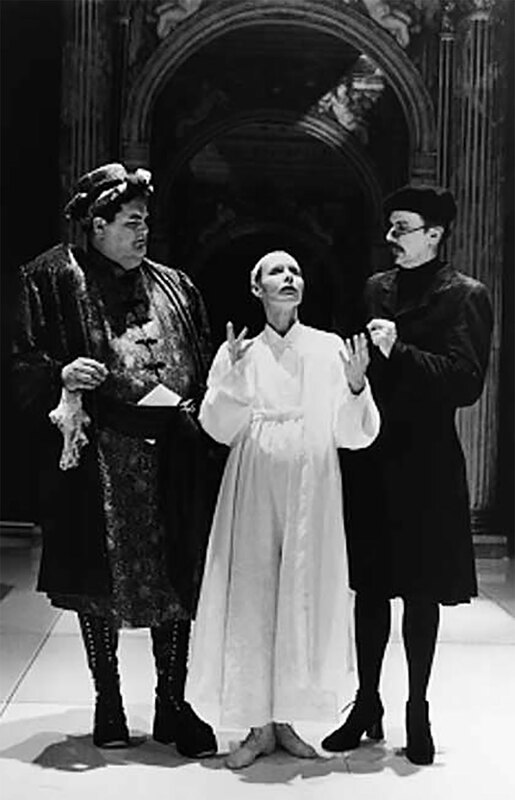 The first play by American David Hirson, La Bête won numerous awards in New York and London including the New York Newsday/Oppenheimer Award, the Lawrence Olivier Award for Comedy of the Year, as well as five Tony award nominations and six Drama Desk Awards including Best Play of 1991. In a twist of casting, Barbara E. Robertson plays the garrulous Valere. In Rotating Repertory with The Little Foxes.